The survey was reportedly undertaken by the Australian Licensed Aircraft Engineers Association, covering airline employees with several companies. The results indicated just 1 per cent of engineers and pilots trust the Qantas management team, and a mere 3 per cent of respondents believed the airline might improve over the next year. The distrust is more than reasonable, after recent tough times have led management to cut hundreds of engineering staff from maintenance facilities in Australia. Recent reports also indicate that Qantas CEO Alan Joyce has written to the Prime Minister for help, and also encouraged staff to lobby against a $350 million capital raising venture by rival airline Virgin. The survey does not appear to be the most comprehensive poll possible; the Australian Licensed Aircraft Engineers Association did not weight data by the number of respondents and the different airlines they worked for, and it conducted the survey via social media. 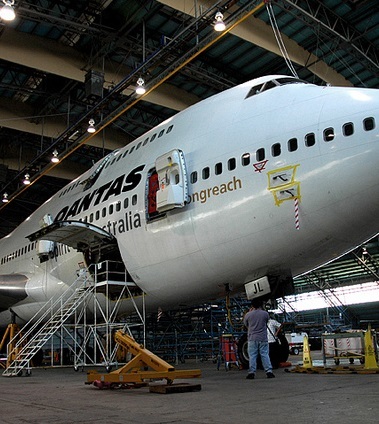 The figures come as tough times for Qantas continue, but Australian Licensed Aircraft Engineers Association federal secretary Steve Purvinas says top-level changes may inspire a better attitude from remaining employees. “Unless there is a change in leadership or direction the plans of the current executive appear to be doomed,” Mr Purvinas said.